Now those three things may not sound like they go together well, but I can assure you, they do now. If you’ve been following me on Twitter (and if you’re not, you should!) you’ll know that I was traveling for a bit recently. 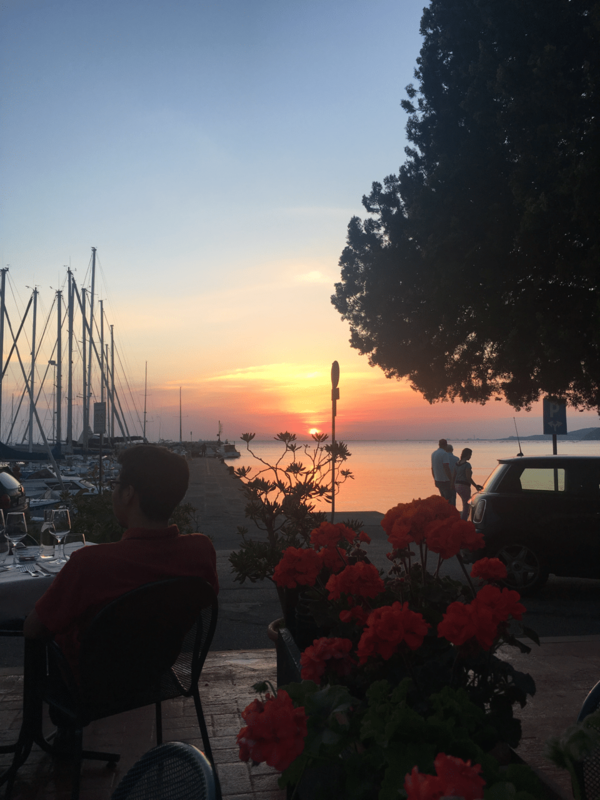 I was at KubeConEU where I was representing InfluxData and EclipseIoT—more on that another time, as there’s some exciting things happening there!—and then I went on to be an instructor at a workshop being held at the Abdus Salam International Center for Theoretical Physics in Trieste, Italy. 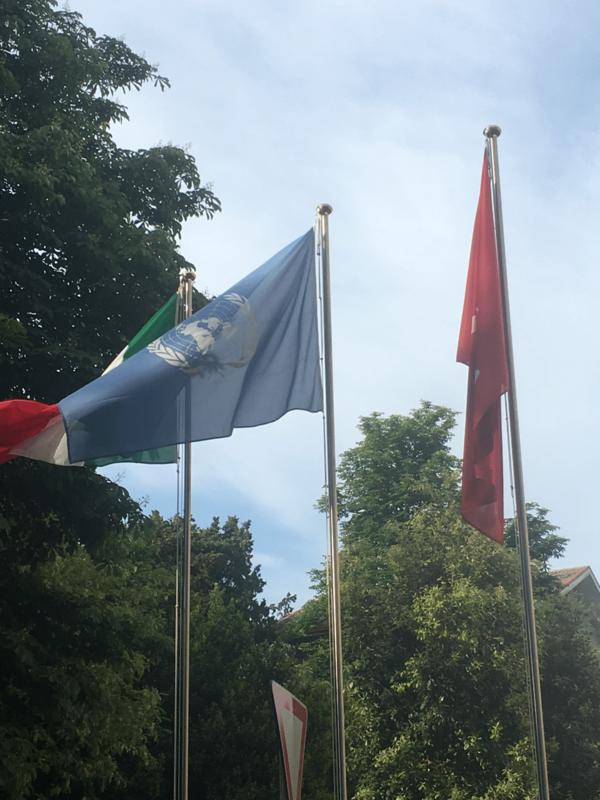 Working under the U.N. flag was quite inspiring, as was the gorgeous setting on a hillside in Trieste. The whole point of this workshop was for the participants to learn how to use The Internet of Things (IoT), with sensors over LoRaWAN, to monitor radiation. Did I mention that this workshop was being run jointly with the U.N.’s International Atomic Energy Agency (IAEA)? Yeah, so there was that, too. Those are the people that monitor compliance with the UN Nuclear Non-Proliferation Treaty, and leakage from Nuclear Reactors, etc. Again, pretty inspiring group to be working with, considering the world we live in today. They came from a variety of institutions and backgrounds and were all doing extremely interesting projects. I could have stayed there for weeks just talking to them about the various projects they had in mind—and the ways that InfluxData could be applied to their solutions. Again, absolutely inspiring to work with such a remarkable group of participants. The other instructors were equally phenomenal, and from an (almost) equally diverse background. As I said earlier, the point of the workshop was to teach participants how to build and deploy applications for remote radiation monitoring using IoT over LoRaWAN—because, you know, no one wants to get that close to some radiologically active places. Think Chernobyl, or Fukushima, for instance. By the time I arrived at the workshop, the participants had already been at it for a couple of weeks and had successfully built some radiation detectors that were sending data via LoRaWAN on TheThingsNetwork (TTN). I was there to show them how to use InfluxData to collect, manage, analyze and visualize that data using the TICK Stack. Luckily for me, most of the participants had already installed InfluxDB on their laptops, so I was able to dive right in to some of the other aspects of using the TICK Stack. Since their data was being sent to a TTN MQTT broker already, I talked at length about using Telegraf as a mechanism for pulling data from an MQTT broker into InfluxDB—the ability of the mqtt_consumer plugin to automatically reformat it and inject it into InfluxDB at speed. They were, of course, especially interested in the ability to run Telegraf—and indeed all parts of the TICK Stack—on a low-power edge device where some initial data analysis, alerting and downsampling could occur. In areas where there is limited—and expensive—network coverage, this ability of the entire InfluxData stack to run on constrained devices is hugely popular. I worked with one of the other instructors for an entire afternoon to convert his lab to using InfluxDB—via the Python libraries—for data collection and analysis. But they were using a Python library to pull the data from the TTN MQTT broker, and then insert it into InfluxDB. If you’re a Telegraf fan, as I am, you’ll notice that this is doing it the hard way. So I fixed that. is what the view looked like from my dinner spot 100 yards from my dorm room, I wouldn’t pass it up. Plus that place had the best Gnocchi I’ve ever had in my entire life. It was, as I said, a real honor to present to such a distinguished group at that workshop. Leaving with the knowledge that InfluxDB was headed off to parts of the world I don’t think we’ve ever been to before felt pretty good too.